The United States Patent & Trademark Office (USPTO) has published patent application number 20160132030, originally filed on September 16, 2015, and titled “Aggregating User Routines in an Automated Environment”. The abstract outline of the patent filing describes a system that would allow a mobile device in the hands of a user to link to a coordinator device to relay unique user behavior that can be located in the environment. The linked device, which Apple is calling a coordinator device in this instance, would then be able to analyze the relayed information as part of an effort to detect patterns of behavior that can then be automated on the user’s behalf. If all that sounds a little complex, and a little difficult to comprehend, then Apple is essentially describing a method of using accessory devices, such as an Apple TV controller or one of its iOS mobile devices, to collect information about a user’s environment with the aim of analyzing that data to get a better understanding of that particular user’s needs and habits. 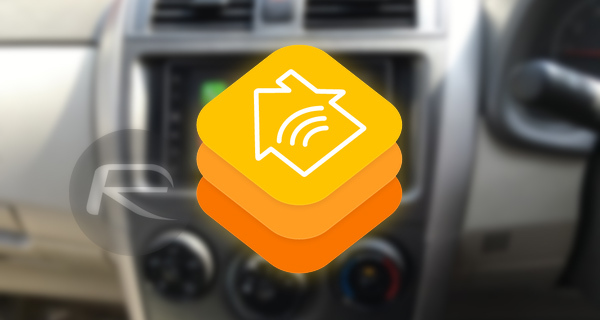 One such example given by Apple is the notion of a light automatically being turned on if the light level in a given environment is detected to have fallen below an ambient light level. 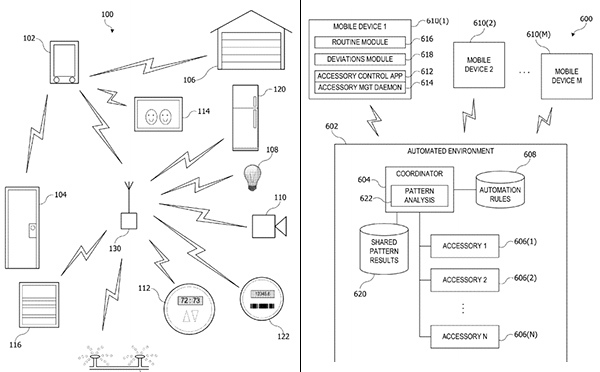 What’s particular interesting about this patent, and the technology methodologies that it describes, is that Apple notes that it could extend beyond pure home automation, and potentially into “homes, cars or other vehicles, office buildings, campuses having multiple buildings (e.g. a university or corporate campus)”. Of course, that could just be a generic statement that outlines how the tech could be utilized and applied, but we all know that it’s going to push forward an increase in conjecture about whether or not Apple is working on an autonomous vehicle of some sort. I beat Sachin here. He will most likely say something Anti-Apple! So I wonder will Sammy copy this like the did with everything else? This homekit isn’t new. All you do is shove BT/BTLE controller up a stupid bulb – and you have yourself a smart bulb.